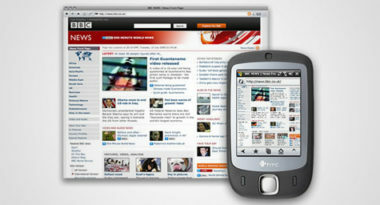 The explosive popularity of mobile devices can be attributed to the mobile Web’s unique power to provide consumers with on-demand information on any topic, including healthcare. As a result, consumers are rapidly acquiring tablets, smartphones and other mobile devices and increasing the time they spend on them. One would think that healthcare companies would be racing to develop mobile websites to capture this growing market, but relatively few have a functional and appealing mobile Web presence. For health marketers ready to make their mark through mobile, MediaPost.com offers some helpful hints to ensure that your mobile website looks good and performs very well. 1. Design Each Page For Both Horizontal And Vertical Viewing – People use mobile devices in various ways, so optimize your website to meet their unique needs. 2. Use Color For Background Instead Of Images – Mobile Web browsers have different ways of interpreting images and backgrounds, with color images taking longer to load. This increases the likelihood that mobile viewers will get frustrated waiting, and search for another site. Prevent that by keeping your colors on the background. 3. Avoid Using Too Many Images – Reflecting the rationale above, images take longer to load, which creates a longer wait if your website is filled with them. Limit the number of images you use in order to decrease the wait time and increase visitor retention. If you do add images, make sure that they appear smaller than your thumb on screen or they could cause long loading delays. 4. Make Each Page Smaller Than 100k – Once again, loading time is the reason for this page limit. The very nature of the mobile Web is immediate, so you want your website to load quickly and easily. If it doesn’t, your visitor may look to your competitor. The rapid rise in mobile Web viewing offers many opportunities for healthcare marketers to provide brand information, offer support, acquire new customers, recruit for clinical trials and even conduct medical research. Take advantage of this powerful digital direction by developing a mobile website that is functional, fast, and fit for the needs of your healthcare market.